SACRAMENTO, Calif. - Once home to the largest craft brewery in the Golden State, Sacramento&apos;s beer scene is back - in a big way. Home to more than 40 breweries, the Sacramento region is embracing its agricultural roots to create homegrown beers that are quickly attracting international attention. Beyond a staggering selection of local brews to choose from, Sacramento visitors will find some of the country&apos;s best beer events and activities that are sure to quench their thirst. "In many ways, Sacramento is the birthplace of beer in California," said Sacramento Convention & Visitors Bureau Tourism Director Nick Leonti. "It&apos;s only fitting that the region has reclaimed its title as one of the best craft beer destinations in the Golden State. There&apos;s enough variety here to please any beer fan, and it&apos;s not every day that you can enjoy an ale that was crafted from hops grown only a few miles away." Prior to prohibition, Sacramento was the beer capital of the West. The region&apos;s abundant fresh water supply, coupled with ideal growing conditions for California&apos;s first hops fields, led to more than 16 breweries in the city&apos;s downtown alone. Chief among them was Buffalo Brewing Company, the largest brewery west of the Mississippi River. Captain Frank Ruhstaller was a leader in Sacramento&apos;s beer production, helping to found several breweries including his namesake, Ruhstaller Brewery. Prohibition came, and the land formerly used to grow hops was converted to other crops. These crops can still be found throughout the region&apos;s farmland today, including almonds, pears, tomatoes and rice. Today&apos;s Sacramento beer scene is vibrant, and craft brew tasting rooms are scattered throughout the city&apos;s downtown and Midtown core, and across the region. Stalwart Sacramento breweries such as River City Brewing and Rubicon Brewing Company have been around for more than a decade, and they&apos;re still going strong as new breweries join the scene. Over the past five years, beer makers such as Track 7 and Bike Dog have added to mix, while Ruhstaller Beer and New Helvetia Brewing Company have also opened, paying homage to Sacramento&apos;s rich brewing past. Captain Ruhstaller&apos;s legacy can still be seen today in the region&apos;s remerging brew scene, with a new iteration of Ruhstaller returning to Sacramento in 2013. The modern day Ruhstaller&apos;s founder J-E Paino established a hops farm and yard in 2013 just outside of the city, and brews his beer locally. During harvest season, beer fans can tour the farm and see how the growing hops go on to become of the region&apos;s most popular brews. And Ruhstaller&apos;s fan base extends well beyond the Sacramento region, with distribution of its brews extending as far as the United Kingdom. It&apos;s no surprise that the Sacramento region is also home to some of the country&apos;s best beer events. From the annual Sacramento Beer & Chili Festival, to our own "Sactoberfest," there&apos;s always something beer-related on the Sacramento region&apos;s calendar. In March, beer fans flock to Sacramento for Beer Week - a non-stop, city-wide party designed to showcase the region&apos;s brews. Run by the Northern California Brewers Guild, Sacramento Beer Week is an 11-day celebration boasting everything from beer and food pairings to a festival on Capitol Mall with breweries from all over the state and beyond. Sacramento&apos;s food scene hits fever pitch in September during the annual Farm-to-Fork Celebration, a two-week event designed to highlight the region&apos;s robust agriculture and fresh-food scene. A favorite attraction during the Celebration is the Farm-to-Fork Festival, a massive outdoor faire held on the city&apos;s Capitol Mall featuring booths and interactive exhibits from farms, restaurants, grocers and more. As one would expect, food and drink take center stage at the Farm-to-Fork Festival, and beer is a main attraction. The Festival boasts a packed brewer&apos;s alley that showcases beers from across the region, and many of the 20,000+ attendees head straight for the alley to get a glass of their favorite ale to enjoy while checking out the Festival. 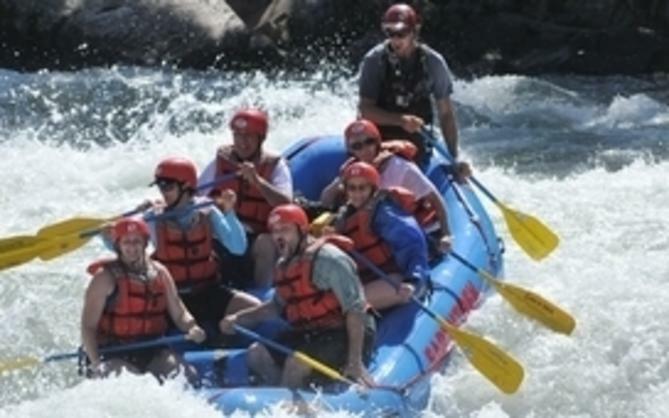 Beer-enthusiasts can do more than just sip their pints in Sacramento; the region offers a host of activities that showcase the region&apos;s brew scene. Thirsty fans can tour the region&apos;s breweries and pedal for their pints aboard Sac Brewbike, a newer addition to the city. 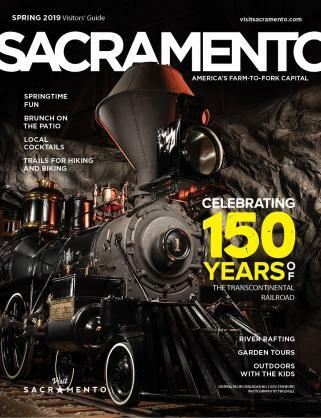 Or, you can sit back and sip your craft brew aboard the Sacramento Beer Train, which takes travelers along the rails through rural West Sacramento. Restaurants across the region also offer monthly beer pairing dinners, providing beer fans with a chance to sample the region&apos;s unbeatable cuisine and fantastic local brews. Still, nothing beats touring where the beer is crafted, and Sacramento offers a vast array of tour options, from small craft breweries, to the Budweiser factory just outside of the city. So, beer fans, what are you waiting for? Hotel packages are available throughout the year, and more information on the region&apos;s beer offerings can be found at www.visitsacramento.com/visit/beer. 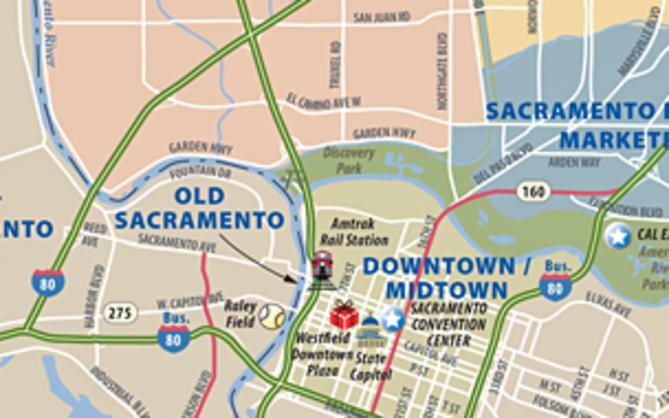 Sacramento is the capital city to the largest producing state of agriculture in the nation. Locally, 70 percent of the region&apos;s land is agricultural, forest or other open space. The region also contains more than 1.5 million acres of active farmland and more than 40 regional farmers markets-including one of the largest Certified Farmers Markets in California. Diners across the country enjoy meals containing ingredients produced in the Sacramento region. Led by the Sacramento Convention & Visitors Bureau, the farm-to-fork initiative is a year-round endeavor and collaborative process with the area&apos;s farmers and growers, chefs and restaurants, regional elected officials, and the people and organizations who are dedicated to the region&apos;s collective food system. More information can be found at farmtofork.com.